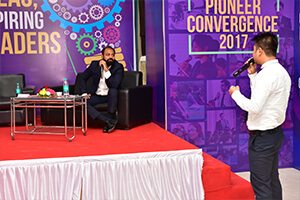 Corporate World today demands Management Graduates having not only Knowledge & Skills but also who are Smart, Sharp & Confident. Confidence is one of the most important contributors to performance in the corporate world because a person may have all of the ability in the world to accomplish a goal, but if he/she doesn't believe in himself/herself to have that ability, they won't use that ability to its fullest extent in pursuit of success. 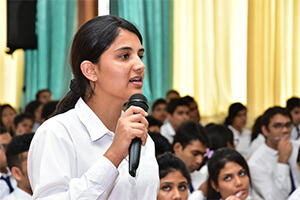 PIBM takes initiative in preparing the students to take on any challenge with Confidence. 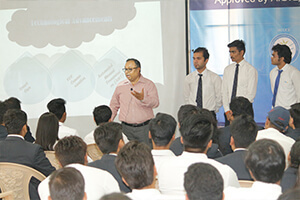 Rigorous training on improving Business Communication, continuous improvement of Presentation skills and thorough preparation for Placement process which includes Aptitude Training, Mock GDs and Mock PIs, ensures PIBM students to gain the required confidence to become ready to enter the Corporate World.